Whether you are cruising between New Zealand’s beautiful snow capped mountains, or chilling with friends under the stars by the sea it’s important to remember that an amazing playlist can make all the difference to your experience. A great playlist is so much more than just a list of songs. A perfect soundtrack is a work of art, and when done well it can be the soundtrack to some of your most memorable moments in New Zealand. Now, there are no hard and fast rules for creating the perfect playlist and everybody’s taste is different. But there are some general guidelines to help you on your way to becoming the respected ‘Chief Playlist Creator’ for you and your mates. So work to a theme that is perfect for that moment in time and not just a random collection of your favourite songs. To repeat or not to repeat? If you’re a massive Florence & The Machine fan, or you go mental for Madonna then that’s great, but as a general try not repeat artists more than once in a playlist – even if they are your favourite. Mix it up. A great playlist has variety and although you might be working to a theme no one wants to listen to back-to-back 90’s dance hits or to hours of acoustic indie… So try to pick a variety of songs from different genres and decades. Know your crowd. You don’t have to please everyone but know the bare essentials of what people do and don’t like – after all who wants to spend a 7-hour road trip listening to your mate in back moaning about every single one of your choices. Now we’ve outlined the basics it’s time to go forth and curate your perfect playlists that will give you legendary status amongst your mates. Here is some inspiration to get you started. The sun, beach and music are a match made in heaven. So throw open the campervan doors, let the sunshine in and stick on an upbeat playlist. Here are some of our favourite sunny day tracks. 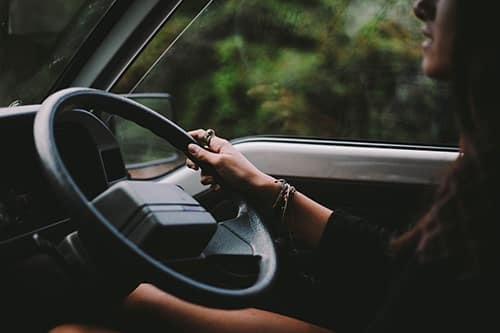 Whether you are driving down to the beach in your campervan, or are driving through the outback, it’s always a great idea to have some epic tunes on your trip. After a long day of driving there is nothing else to do but park up the campervan, get the barbie going and stick on the perfect soundtrack. Oh, and crack open a few ice-cold beers of course. What are your favourite playlist tracks or themes? Share them with us in the comments below; we’d love to hear them. To get a quote for a campervan head over to our website or call 0800 348 348.